Well, we all remember Google’s Penguin Update from last summer. Some companies were hit harder than others, but we all learned together the importance of maintaining best practices and keeping strictly to white hat techniques. 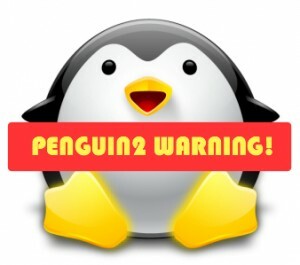 Now, Google has announced that it’s time for “Penguin2″…and according to Matt Cutts, this algorithm change is going to “go a little deeper.” So, we can expect more of the same strict crack downs on those agencies out there that are still trying to beat the system and cut corners. Penguin 1 may have caught some off guard, but this time if we’re not prepared, it’s our own fault. The warning is out and available – just check Google’s YouTube channel for web master help. To make it even easier on you, we’ve shared the official video from Matt Cutts himself, right here on our blog. Check it out and make sure your firm is prepared for Penguin2 and knows what to expect from Google in the Summer of 2013! Avoid Link Schemes Like the Plague! Last year, Google was merciful when they only cracked down on clearly obvious link schemes like BuildMyRank. However, Penguin2 will go the extra mile to sniff out the less obvious culprits, so make sure Google won’t find any incriminating evidence when it crawls your site. Keep this simple mantra in mind: Don’t just “build” your links…instead, EARN them! NO Spam! The bottom line here is that it’s time, once and for all, to remove yourself from mass directories and blog networks that have no authority. If your links are all over sites that you had to pay to be on, but that required no approval process, that’s a sign that trouble is imminent. Develop Quality Content. It’s becoming more widely known among internet marketers that generating quality, unique and helpful site content is a key to building authority online and gaining a better reputation with Google. However, authority is now determined not just by content, but also by author. Don’t forget to participate in Google’s author tag program. It’s more important now that it ever has been. It can’t hurt to also go through and do a general site clean up. Check your content, your inbound links, your formatting, page load times and XML site map. Take Matt Cutt’s advice and heed his warnings…or suffer the consequences later. Are you prepared for Penguin2?